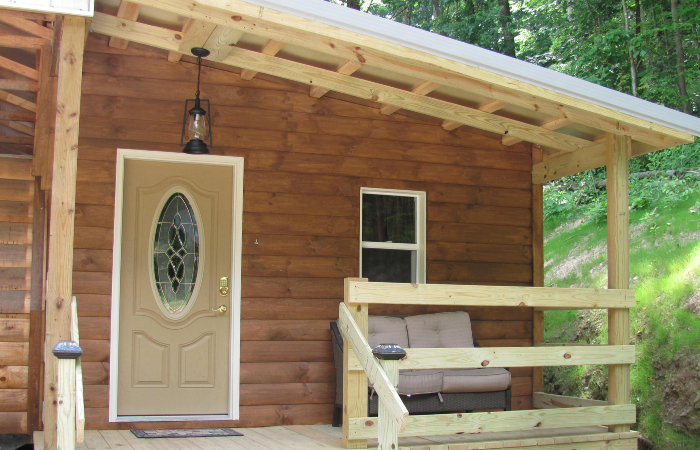 Enjoy a peaceful getaway at the cute and cozy Acorn Bungalow. 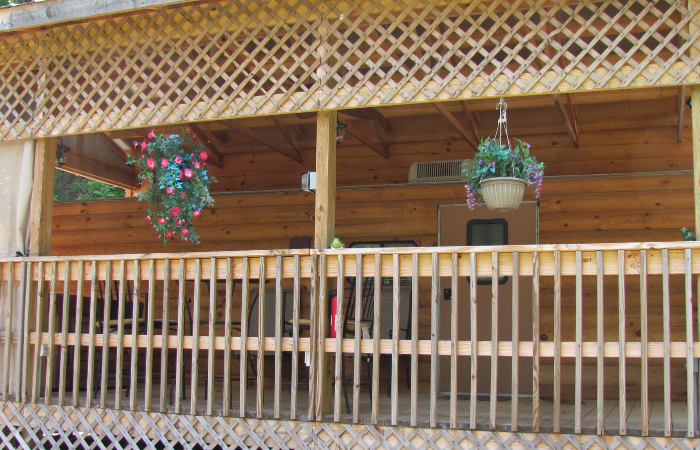 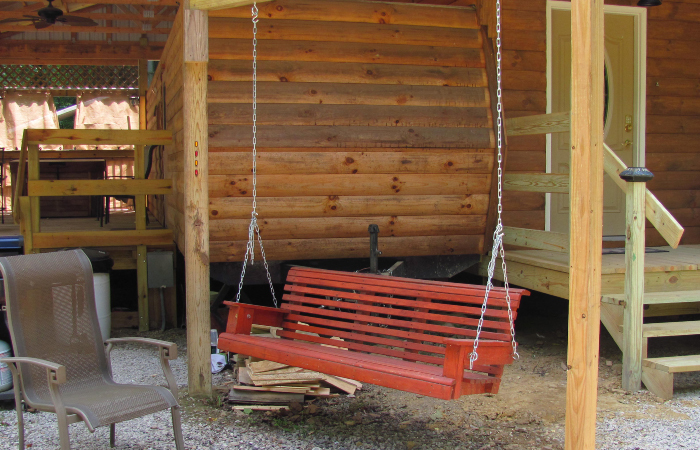 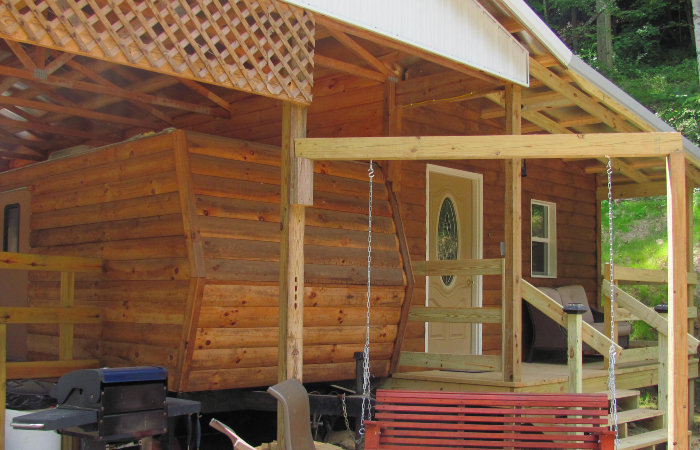 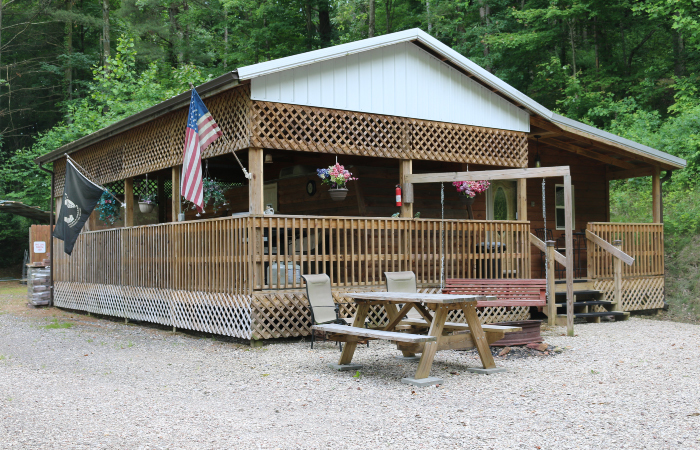 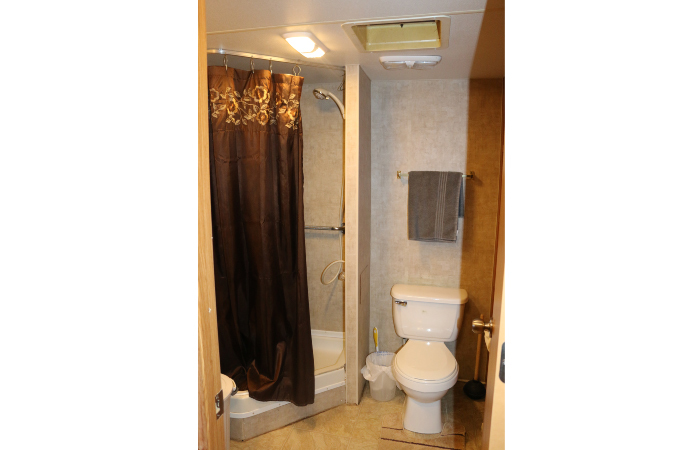 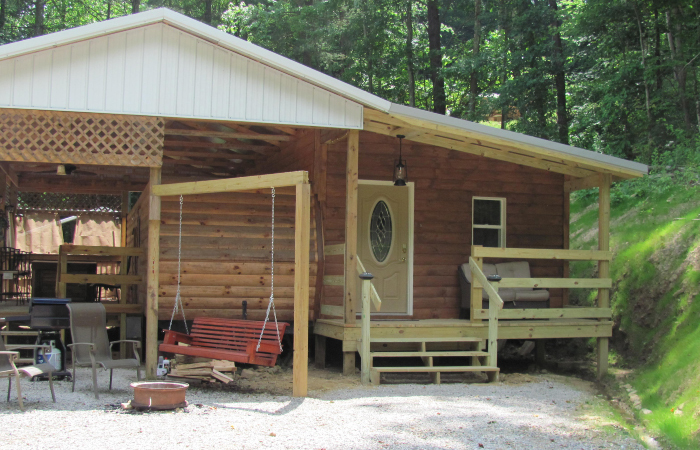 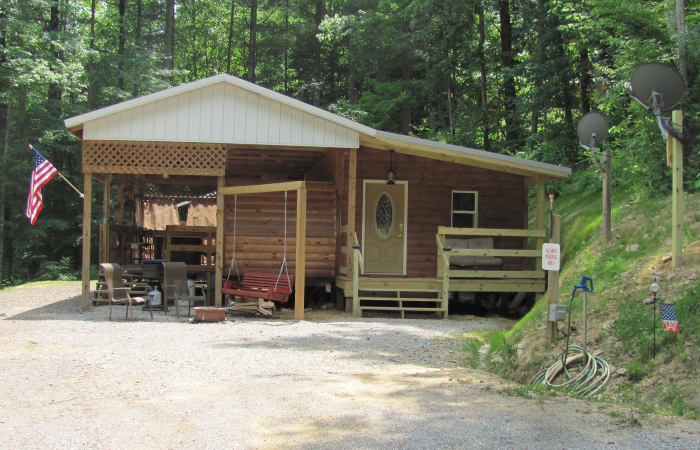 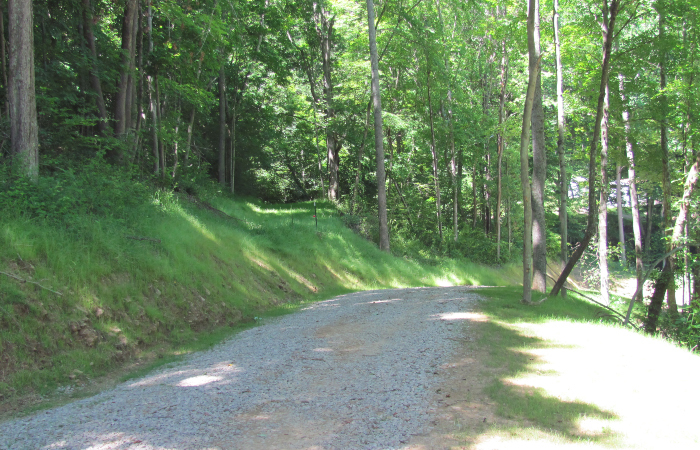 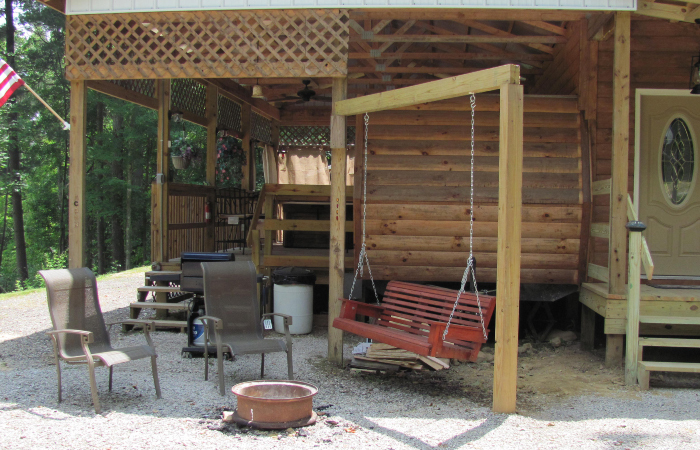 This log sided converted mobile is Located in a peaceful wooded Setting, just 5 minutes to Old Man’s Cave. 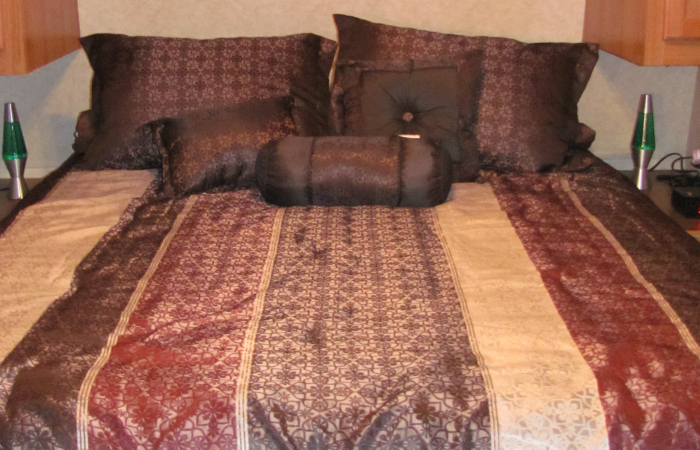 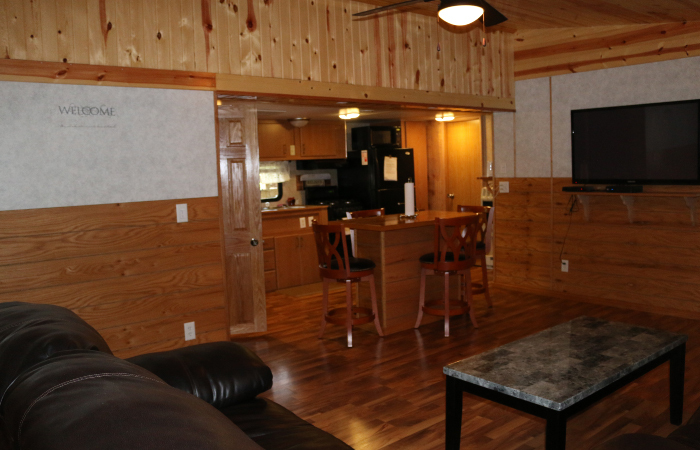 Tastefully furnished and well appointed with a spacious living area, you’ll find space for couples or a small group. 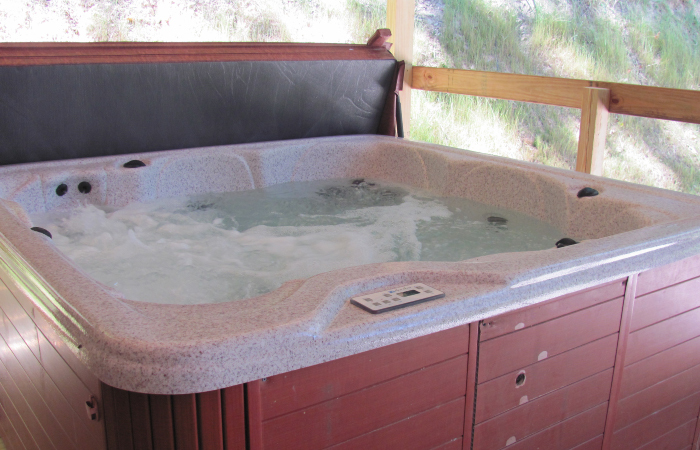 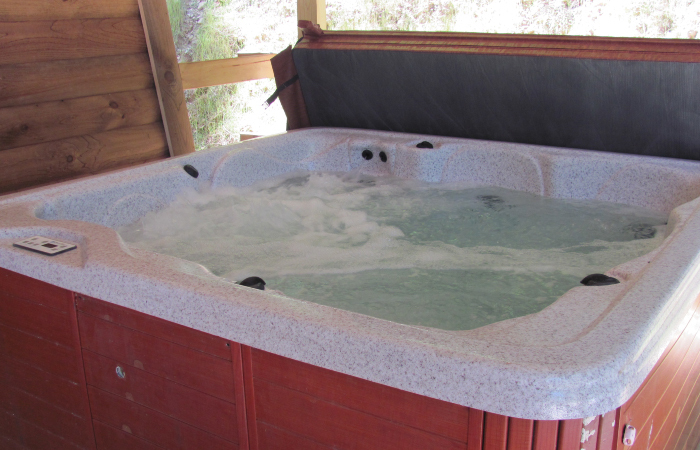 A private hot tub awaits you on the large deck. 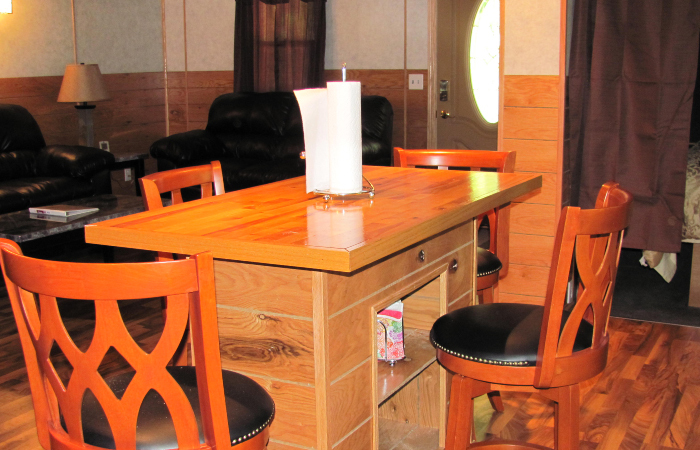 Prepare a romantic meal in the equipped kitchen or walk to the South Bloomingville Tavern for food and entertainment. 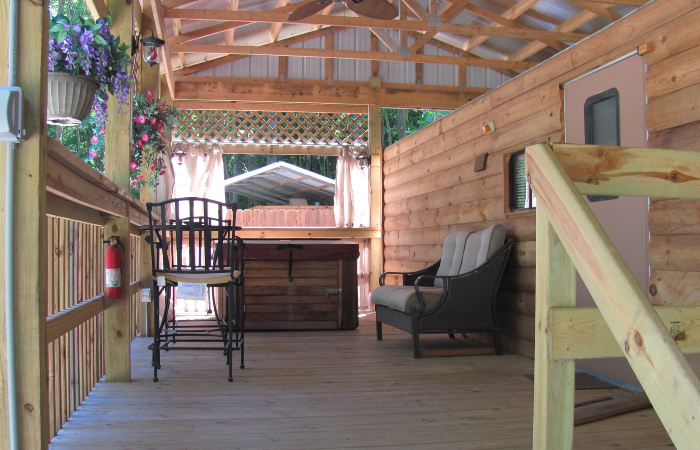 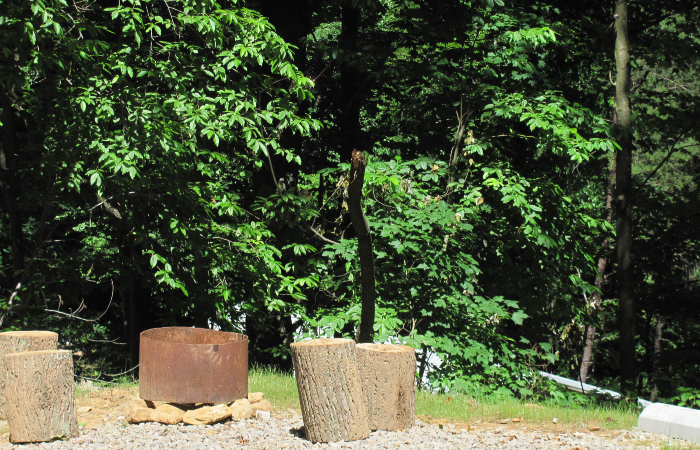 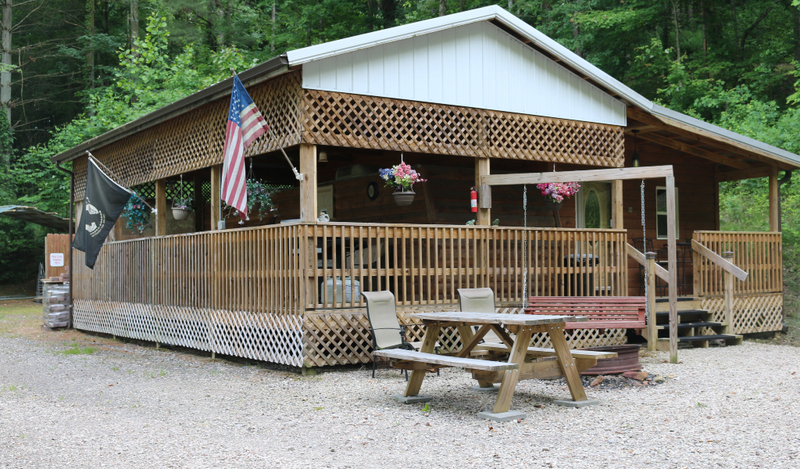 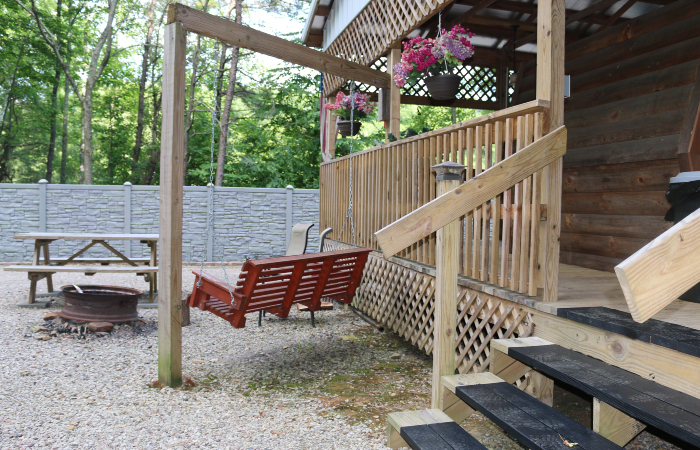 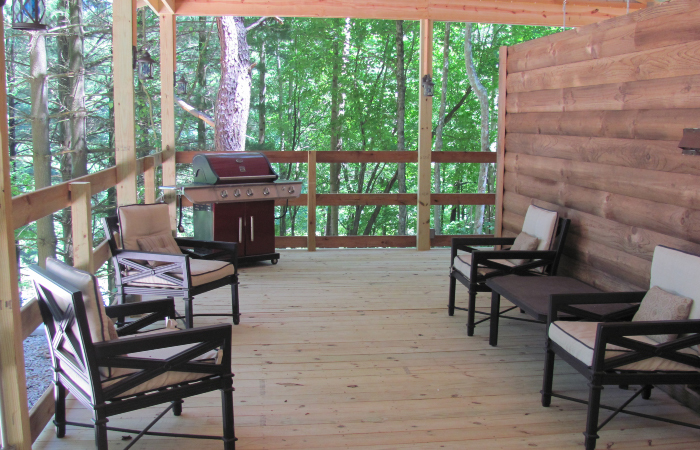 The Acorn is sure to become your Hocking Hills hideaway. 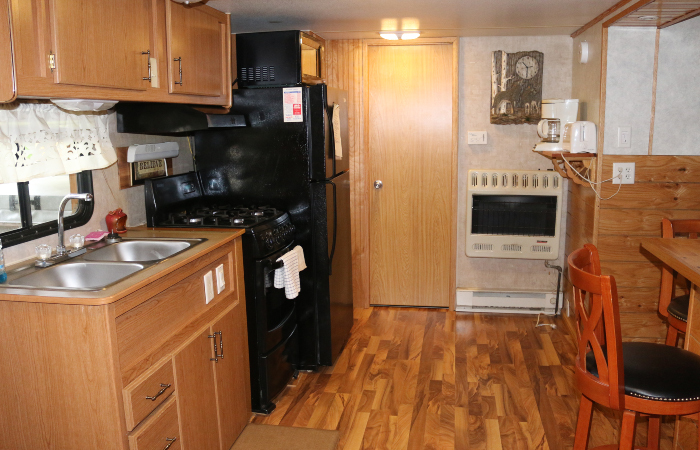 Acorn Bungalow Bungalow is a converted mobile home. 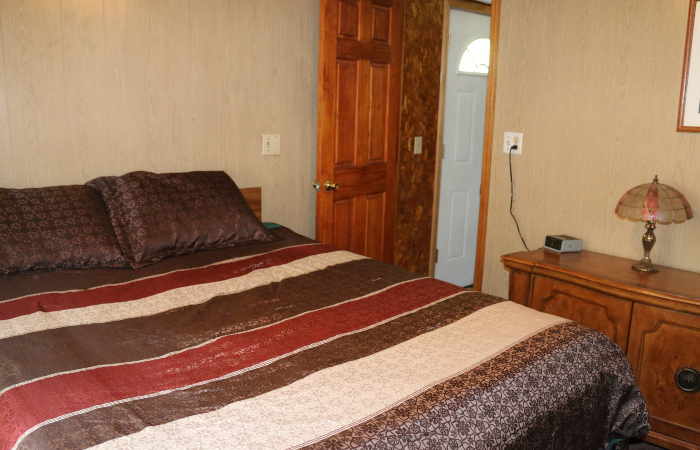 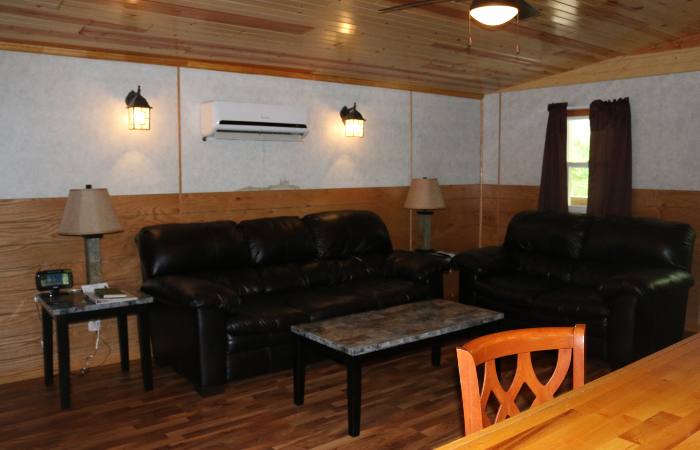 The bungalow has an added living room and bedroom making it a spacious cottage. 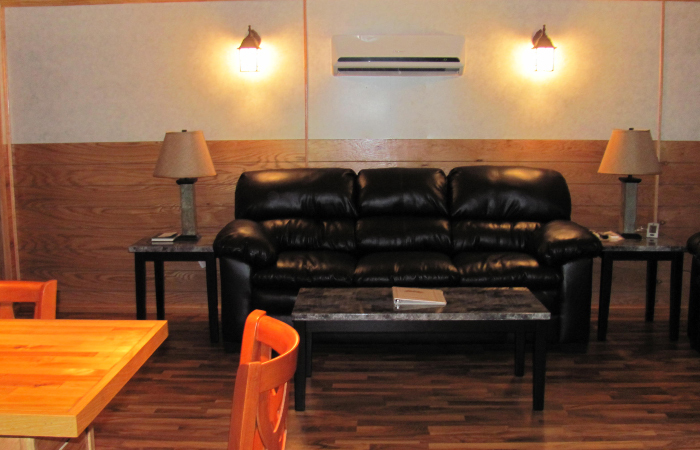 • Pets welcome with pet fee.